The new bowel cancer screening test, the Faecal Immunochemical Test (FIT), has seen levels of participation rise to a record high in Scotland. The country was the first part of the UK to introduce FIT in November 2017. 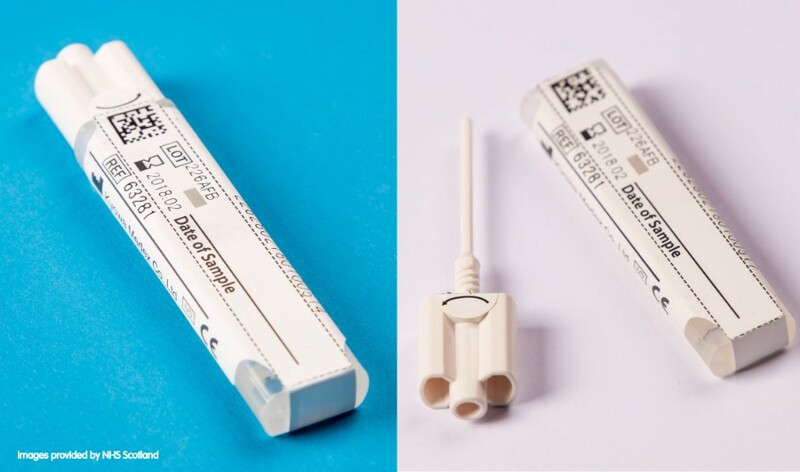 The test requires the collection of just one sample and is also potentially more accurate than the previous test (the Faecal Occult Blood Test) so we would expect more cancers to be detected. Statistics show that from November 2017 to April 2018, 64% of those eligible returned their FIT. In the same period the year before, uptake of the previous test was 56%. The biggest improvement in participation with FIT has been amongst those living in the most deprived areas – up from 42.0% to 51.8%. England will be rolling out FIT into their screening programme in April 2019 and Wales in June 2019. Northern Ireland is still yet to approve the new test. No matter which bowel cancer screening test you receive in the post, completing it and returning it could save your life. Deborah Alsina MBE, Chief Executive of Bowel Cancer UK, says: “It’s positive to hear that the introduction of the Faecal Immunochemical Test (FIT) to the screening programme has increased uptake by nearly 10% in Scotland – this is very encouraging. It is especially good news that the uptake gap between socio-economic groups has narrowed as we know that people living in deprived areas are less likely to complete the life-saving bowel screening test.